After an unfortunate exit from the World Cup, drubbed by the European stalwarts, Belgium, Brazil faces hung low in despair. 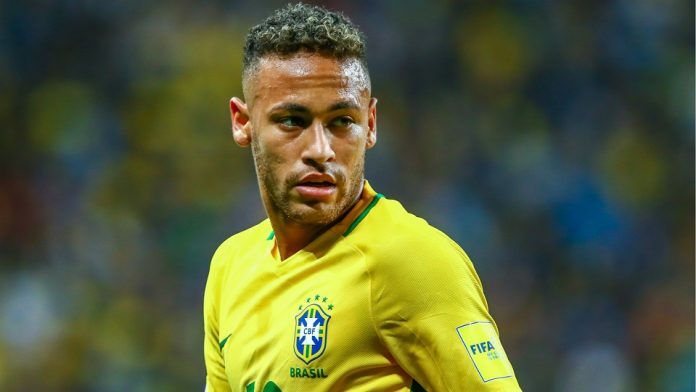 Saddest of them all seemed to be the visage of Neymar Junior, the marksman on whom the entire nation pinned their hopes. He was severely berated for his antics in taking a tumble every single time he came in contact with an opposition player. However, despite all the flak drawn by Neymar, Florentino Perez has intentions of swooping in the Brazilian striker for Real Madrid. Recently as Real is all set to let go of their star striker, Cristiano Ronaldo, they will need someone to fill his boots. Being blatant, the boots of Ronaldo is of astronomical proportions and it is not a cinch to fill in those boots. One has to be a clinical finisher and will have to be a giant in the attacking-third of opposition. Keeping all this in mind, one has to admit as well, that Neymar is a killer marksman. He can be a real nightmare for his opponents if his shots start finding range. He was always a little fragile, but he is expected to have learned a lot from his previous mistakes in the World Cup. Recently there were a few rumors which flew high in the air drawing a probable comparison between Neymar and Luis Figo. 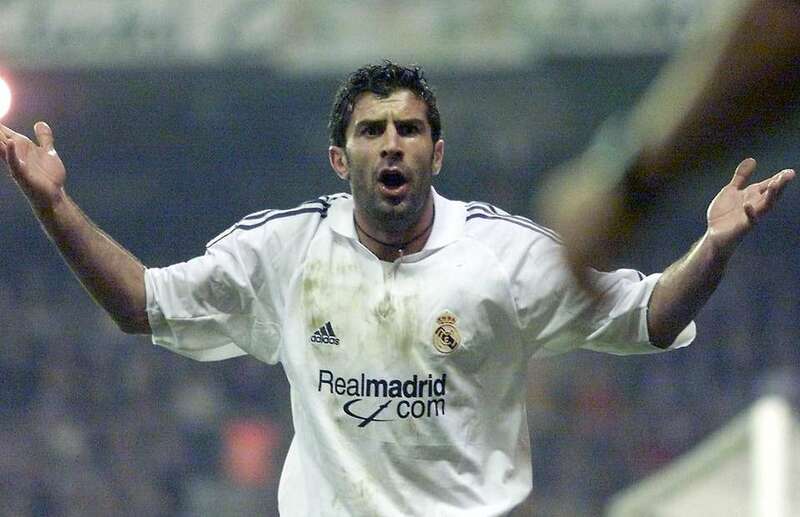 Figo has been one of the best wingers and one of the most prolific strikers begot by Portugal. He went on to net 32 goals from 105 appearances. These numbers are an absolute benchmark set by the Portuguese international. He was then roped in to be a part of Los Galacticos in the year 2000. He went on to play for 5 years at the club and managed to score a staggering number of 38 goals from 164 appearances. He was also a staple game-maker in the sides that vaunted the likes of Beckham, Roberto Carlos, Zinedine Zidane and Ronaldo Luis Nazario De Lima. Neymar, despite being a positive striker, is often known for his blistering runs from the left, carrying the ball by his own before he unleashes those lethal piledrivers. His cut-ins are equally effective and are of higher standards than what Figo used to do. With the likes of Marco Asensio, Benzema and Gareth Bale coming to his aid, we will not be surprised if he goes on to emulate the Portuguese stalwart. Another rumor drew stated that Neymar has got all the ingredients present in him to be the next Brazilian Ronaldo. However, after seeing the World Cup, such fancied speculations have been silenced. Ronaldo Lima was a talismanic striker, not only known for his clinical finishes but also some crazy footwork and a perfect support for his team-mates. The man who went on to win the inaugural Balon-D’Or, spearheaded the attack of the Brazilian side which lifted the 2002 World Cup trophy breaking free from the gigantic arms of the Titan, Oliver Kahn. Not only did he spearhead Brazil, but he went on to spearhead Barcelona, Internazionale, and Real Madrid, scoring a staggering figure of 175 goals. He was also a leading goal-scorer for his nation with 62 goals from only 98 appearances. His career was cut short by some horrendous injuries. Neymar will need a lot of time to match this Brazilian paragon’s heroics. He has recently returned from an injury and is yet to find his range. Time will say that whether he will able to parallel these two legends’ antics if roped in by Real Madrid from PSG. For the time being, let’s relish the beautiful World Cup which is filling hearts with joys.